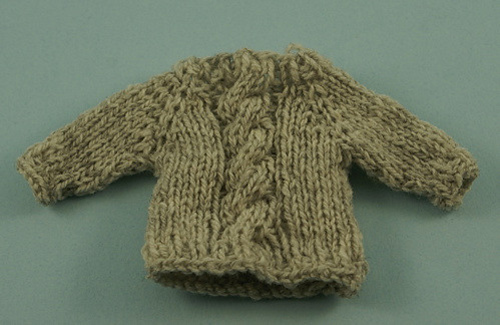 This pattern is a top-down raglan style sweater ornament. It’s a great use for odds and ends of sock yarn. The pattern has basic instructions followed by a two-strand variation and a cabled variation.